Because most of the recipes I create are now directed to those on an autoimmune approach to Paleo, I tend to get labeled as a blogger “using the Autoimmune-Paleo diet to heal herself.” While this is true and all, it is not necessarily my entire story. To begin, Chronic Lyme is not only an autoimmune disease, but also a neurological disease. Therefore, while an infection of Borrelia Burgdorferi does cause the body to attack itself (i.e. autoimmunity), it also creates neurodegenerative and mitochondrial damage, of which I both have. As previously mentioned in posts where I discuss the PK Protocol, because Lyme went untreated for so long in my body, all other attempts to find healing (outside of the IVIG infusions) have proven to be unsuccessful. This is due to the degree of damage that the infection, co-infections, and resulting effects have had on my body. A major part of the PK Protocol, is a ketogenic approach to the Paleo diet, that aids in the redevelopment and healing of one’s cells. Avoiding carbs has nothing to do with being afraid of them, but rather a necessary component of ridding my cells of toxins and fatty lipid rafts that have accumulated through the oxidative damage, as well as the restoration and regrowth. Because cells are ultimately made up of fat, following a high fat diet is subsequently the best fit for the protocol. Then there is the autoimmune-Paleo approach to healing, that removes all pro-inflammatory foods to help the body reduce the attacks it has on itself and thus heal from a given, seemingly “incurable” autoimmune disease. This aspect of Lyme Disease comes into place when the infection is left untreated for awhile, and thus becomes chronic. When this happens, the body continues to fight off what it views as “foreign invaders,” regardless of if spirochetes are still present or not. Of course, the body has a good reason for this, as more than likely the full amount of bacteria has not been eradicated due to biofilms and secret hiding places (lymph nodes, cerebral cortex, spinal fluid, in between cells, etc) that previous treatment could not and (or) can not reach. Putting these two diets together is what I call an “autoimmune-ketogenic” approach to Paleo. While I must strictly eat a ketogenic diet for scientific, medical reasons, eating “autoimmune” is something that I implemented into my life many years prior, as a way to try and help my body heal. However, while this diet does reduce some of the inflammation that I experience, it is has not necessarily furthered in my healing, despite the years I have strictly followed it. That being said, while my PK Protocol doctor has shown and proven me why I need to eat a high fat, low carb, moderate protein diet to heal, I have not put all of my previous, autoimmune knowledge to the way side. Eating ketogenic is not much of a switch from Paleo, except for that dairy products are a bit more readily embraced as part of the “diet.” The only changes for me where altering and upping my fat intake according to the blood work that determined what my cells are deficient in. By altering I mean making sure that I get the specific fatty acids that my body is negative in. Funny as it may sound, this includes omega-6, as I am extremely high in omega-3’s, and very low in omega-6s. As previously mentioned, it is not about having an over-abundance of omega-3’s that makes one healthy, but rather the proper balance. This ratio is one that I am looking to fix on the PK Protocol as my cells begin to heal. I had to take out all form of starchy vegetables, all forms of sugar (including fruit, though I didn’t do this anyways), and carbs in any other form you can think of. Raw sheep dairy, which is not part of an autoimmune protocol, is also part of my diet, as my body tends to love and welcome this food almost always, and allows me to get the needed fat into my diet. 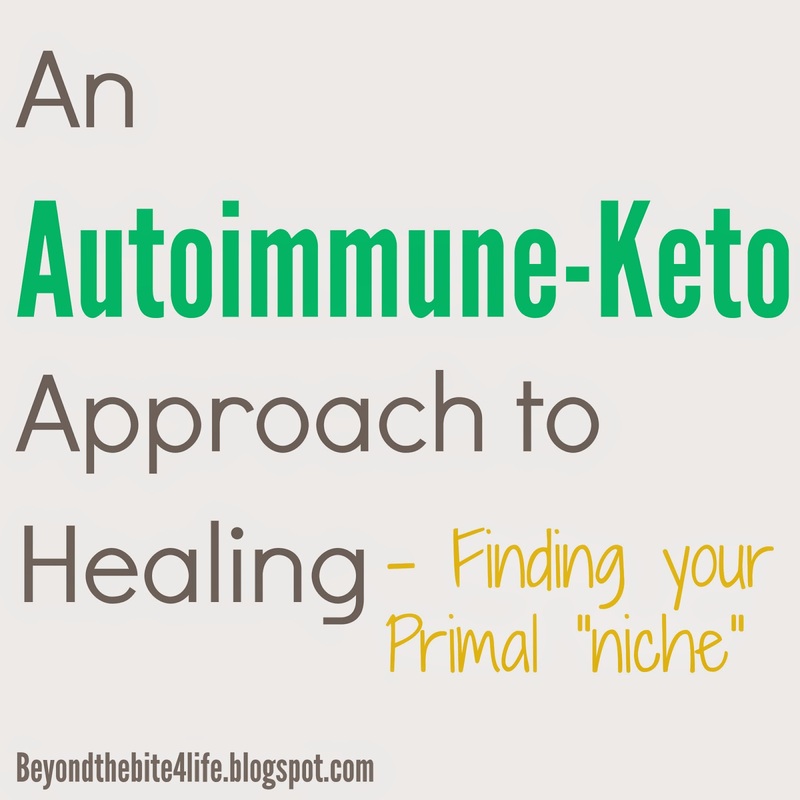 An autoimmune-paleo approach is based off of scientific research for those with autoimmune disease, as is the ketogenic for those with neurological illnesses. Therefore, while eating very low carb, high fat, is needed for healing my cellular makeup, the autoimmune component is my way of coping with inflammatory symptoms on a daily bases (plus the much needed healing aspects). Though my PK Protocol doctor wishes I could eat more nuts, seeds, and eggs, due to differing components that they possess, eating them sends my body into a state of emergency, and thus can not be added to my diet at this time. I will not be on a ketogenic diet forever, and much like the autoimmune approach to Paleo, it will be tweaked once my body begins to truly heal. Therefore, while I may not eat more than half of the recipes I post on Beyond the Bite (the family determines and tastes recipes for me), due to having to eat strictly high fat, moderate protein, low carb, most all AIP “rules” are part of my life as well. I’d also love to hear from you! Let me know how you have used various healing diets, taken into account what you body does best with, and used both personal and documented, scientific research to aid in true healing. 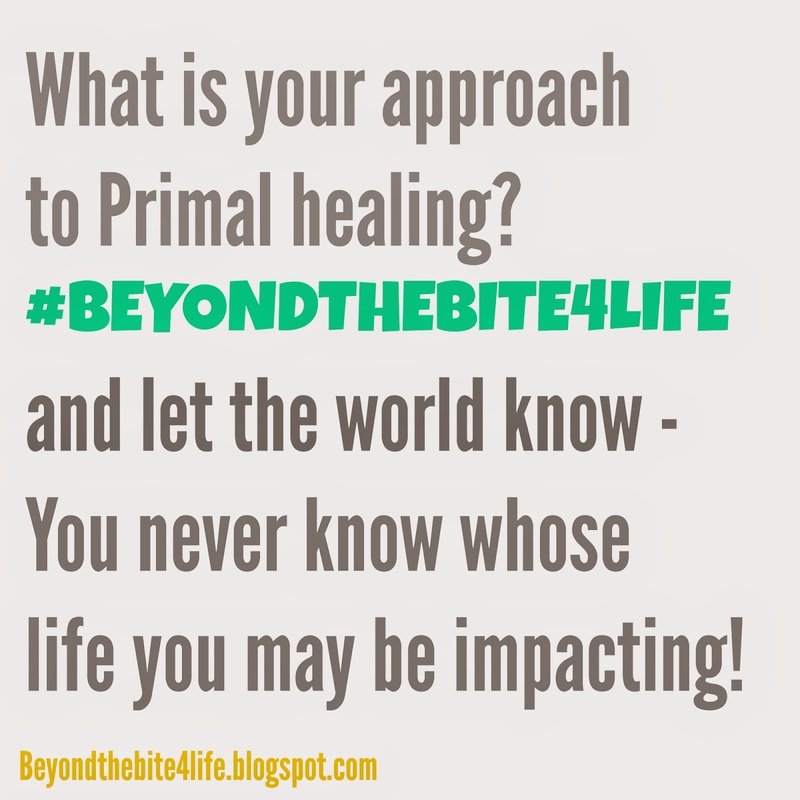 #Beyondthebite4life on Twitter or Instagram and let the world know! Thank you so much for sharing. Can you talk about how and what fats you incorporate in your diet? Hi Megan, I will certainly put that down as a subject to write on in the future. Thanks for your feedback! Hi! I am doing a very similar approach to heal from Inflammatory Bowel Disease, IBS / SIBO, Hashimoto’s Thyroiditis, and fatigue, brain fog, etc, that goes along with Autoimmune Disease. I put this combination together from noticing complete alleviation of my symptoms when on a water fast for a week and subsequent reading on the benefits of AIP and nutritional ketosis. 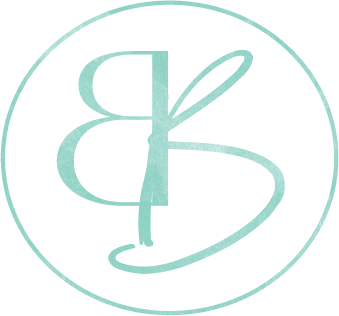 It’s great to see a blog that incorporates the two. Petra8Paleo is another blog I follow which promotes the same diet. My bloodworm was done through Body Bio’s lab, which is Dr.Patricia Kane and her husband’s lab…I am not exactly sure what the name of the test was. Hi there. I’ve been following the AIP for over a year now to control symptoms of Hashimoto’s and psoriasis-like symptoms. Lately it hasn’t been working, even with low-FODMAP adjustments. I’ve lately realized that a higher carb load (ie. eating starchy vegetables) makes my frozen shoulder go into crisis. I think it’s related to my mysterious pre-diabetes insulin problems. Anyway…I’m now eating few carbs and am going crazy for the lack of recipes. If you have any AIP/keto recipes to share, I’m more than interested!! I am finding my way intuitively to a combined AIP – Low Fodmaps – SIBO Sensitive – Ketogenic way of eating for healing reasons. I would love to hear more about your daily eating and lifestyle routines to accommodate this approach. That is great to hear that you are finding it through intuition! I eat tons of greens (low-FODMAP ones), and organ meat. I used to eat a lot of seafood as well, but with my Mast Cell Activation getting worse over time, I cannot handle that anymore….Right now, my diet isn’t too elaborate due to the histamine issues + following keto, though I have been able to add in some lower carb veggies like rutabaga, turnip, spaghetti squash, and zucchini, without any issues. I’m specifically wondering if bone broth and/or organ meats are included in your diet. Organ meat is a huge part of my diet. I eat more organ meat than muscle meat. As for bone broth, I can cook with it sometimes, but I do not tolerate drinking it due to it being high in histamine. Thank you for writing back so quickly!!! Your path sounds really challenging! You are an inspiration to me. Thank you for giving us your blog. Would you mind telling me how you prepare your organ meats? I’m having trouble getting myself to eat them, especially without onions or mushrooms for flavor. I’ve been on AIP for a month now, and am going to transition it to a low-carb, low-fodmap version. I saw improvements on AIP the first two weeks, but the last two of this month have been horrendous with returning symptoms. You mentioned in this post to give you a shout out about what you eat during a week. Do you have any tips? I’m a private chef who knows regular-Paleo like the back of her hand…but all this is AIP/Keto is very new to me. Thanks for any advice/help you could pass along! Thanks for commenting! I’d say to make AIP/Keto + Low-FODMAP the most interesting that it can be, use lots of herbs and spices. It definitely also helps to not be a picky eater. A few things I ate today include olive oil roasted nori sheets spread with a liver pate, while at dinner I pan fried some pork belly and sauteed 2 heads of baby arugula with leek greens and turmeric. Last night I sauteed endive and chopped black radish with ground ginger and some lamb liver that I topped with avocado oil, parsley, Pork Dust pork rinds, and fresh ground horseradish. Half of my meat consumption is probably organ meat, though that is a personal preference, while I also eat a wide variety of greens and low carb vegetables. Almost ever dish has extra seasonings of turmeric, ginger, green onion, leek greens, or other fresh herbs (cilantro, parsley, tarragon, chive, sage, thyme, rosemary). Before histamine was an issue, I also ate a lot of different fish, lemon/lime, and vinegars such as balsamic and red wine to keep dishes new and interesting. Hopefully this has helped some! Thank you for the valuable information and tips, Gabriella. I do get tired of the same spices…but a slightly bored palette is definitely better than the alternative! Time to maybe work on an indoor herb garden? I find the Asian and Indian markets around here have a wide variety of vegetables. Its time I go pay them a visit again and get weird with the produce. I must try kohlrabi! I use turnip in a turkey and greens stew I make. And I made homemade horseradish puree last weekend….talk about making your eyes water! But totally worth it…I was able to get an oyster down with the zesty stuff. I am terrible about eating organ meats unless it is very hidden. I wish I could change that about myself, but for now it is a goal. Tongue is my number one organ fave, …but technically its a muscle so I guess I’m not really eating an organ. Hello, I would love to hear about your meal plan and any recipes you have!! Thanks for tying it all together – esp. since the docs haven’t been able to yet! I am so happy to find yout blog! After following AIP to heal MS for a year, I am not seeing any major change and have started exploring the ketogenic diet. Your viewpoints here totally makes sense! Have you created a cookbook that is AIP + Keto? This would be an amazing tool for those of us looking to adjust. I have been praying that God would lead me to some answers after following AIP FOR SO LONG! I wondered if the key was the combination of the two. I typed KETO + AIP into Google this morning. and your post was the first thing that popped up! Thank you!!! I feel the same way, a cookbook or e-book ANYTHING combining the two diets would be heaven sent!! “Of course, if you all would like to see some of the recipes I make on a weekly basis, please feel free to give me a shout out.” – Yes, please! I can’t do any dairy, but I think the diet you’re following would help me a ton! Please let me know what you’re eating for meals. Thank you!!! Please share more about your recipes. Dealing with hashimotos but now being tested for neurological abnormalities. I will know more at the end of this week. But how do you combine both diets? Thanks for your help! Can you please share what you actually eat then? I mean I’m doing AIP right now and without the dairy of Ketogenic how are you getting into ketosis? Just lots of coconut oil and avocados? She consumes raw sheep dairy to get her needed fat.